Careful estate planning will ensure your testamentary wishes are implemented, probate fees are minimized and other taxes and charges avoided whenever possible. 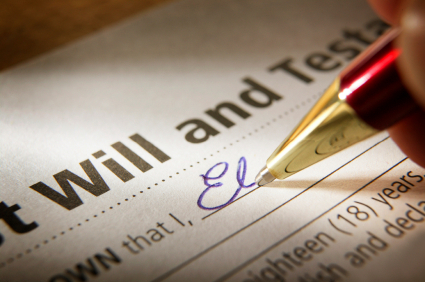 We provide a comprehensive review of your estate plan including Power of Attorneys for Personal Care and Property, Wills, Codicils, and review your current assets to determine if title is held effectively. We also review your life insurance, RRSP, R.I.F. and Annuity beneficiary designations to ensure that your entire estate is administered in accordance with your wishes. Our rates are very reasonable. Please call for more information regarding the costs of your Wills and Power of Attorneys. The following articles may be of assistance to you. We have also provided a handy Estate Planning Guide for your use, free of charge.